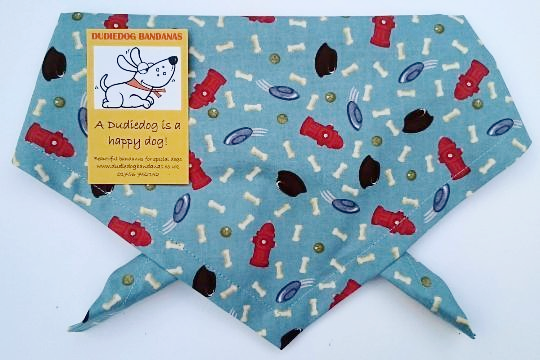 A Cool Vintage Blue, American Themed dog bandana for the fashion conscious dog about town/country! 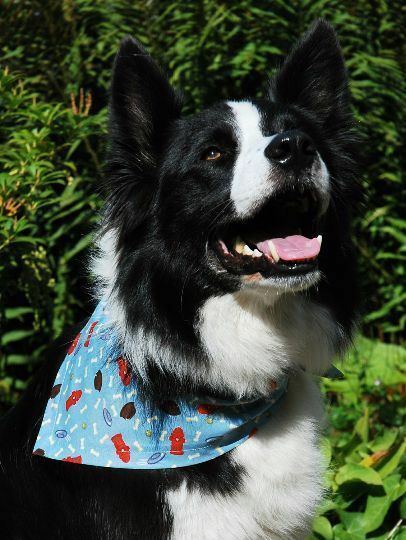 A super-cute American themed dog bandana from our Premium designer cotton range. The background is a beautiful shade of vintage blue, with a fun print incorporating little bones, frisbees, feeding bowls, balls and red fire hydrants! 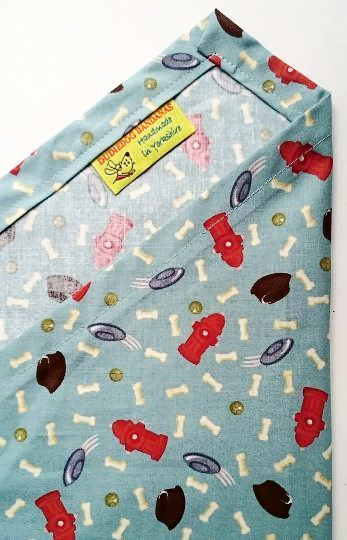 The print has a lovely vintage feel....it's a very stylish cotton, and it has a super smooth feel.This is a perfect addition to any fashion conscious dog's wardrobe!